of shafts in line with the highest automotive industry standards. 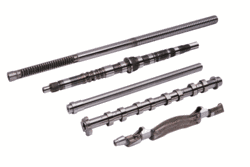 CenterStar is designed for machining the most diverse shaft types and sizes. It permits the machining of work pieces made from various materials (e.g. all steel types, cast iron, hard metals, ceramic) and supports the integration of different processes such as stone finishing, tape finishing, CAB and flat finishing as well as deburring. It can be operated manually, fully automatically or in combination with a conveyor belt, portal or robotic loading procedure. Different parameters can be established depending on the design, whether as a tape finishing or stone finishing machine. With a stone finish, for example, the geometry can be positively influenced, while the use of tape tools is advantageous for the narrowest surface tolerances. 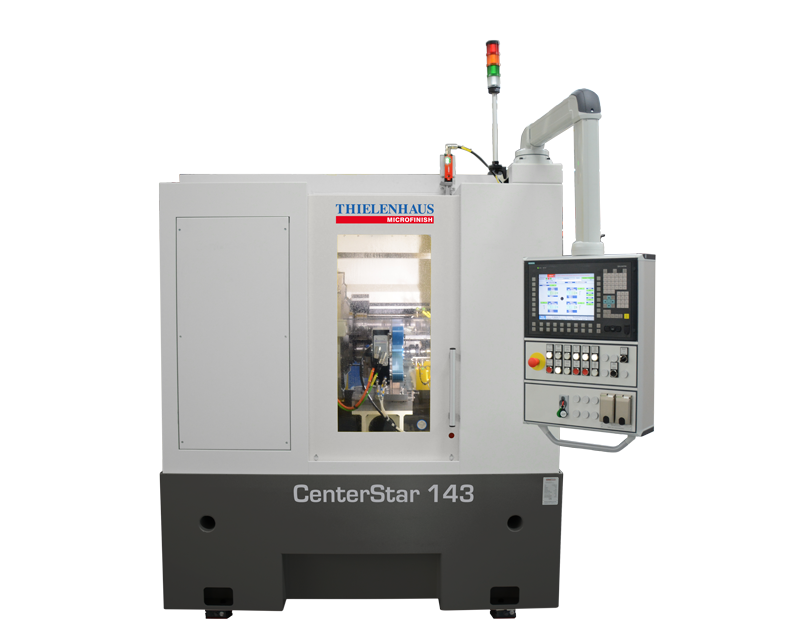 In the case of the tape finishing design, the CenterStar can be equipped with a form shoe system which guarantees improved surface precision and geometry.